When a 91-year-old woman died in 2010, her family discovered she had inherited an apartment in Paris from her grandmother. In 1942 she had abandoned it in perfectly preserved—and decorated—condition. 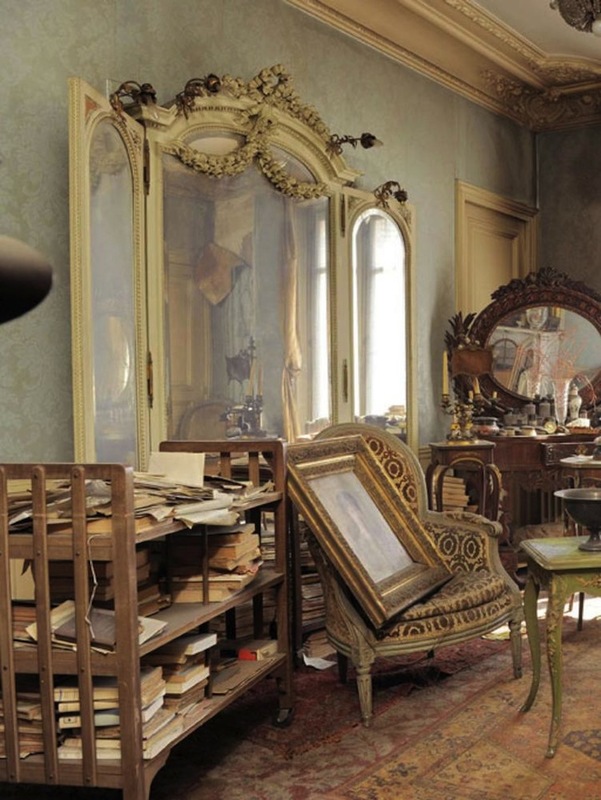 “Time Capsule” apartment of late Parisian socialite and actress Marthe de Florian – abandoned since 1942. 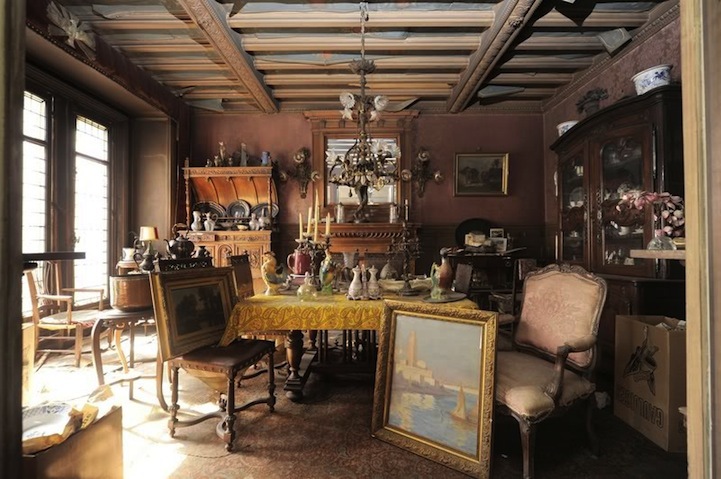 In 2010, a 91-year-old woman died in the south of France, leaving behind her grandmother’s apartment in Paris, which she had inherited at some point. 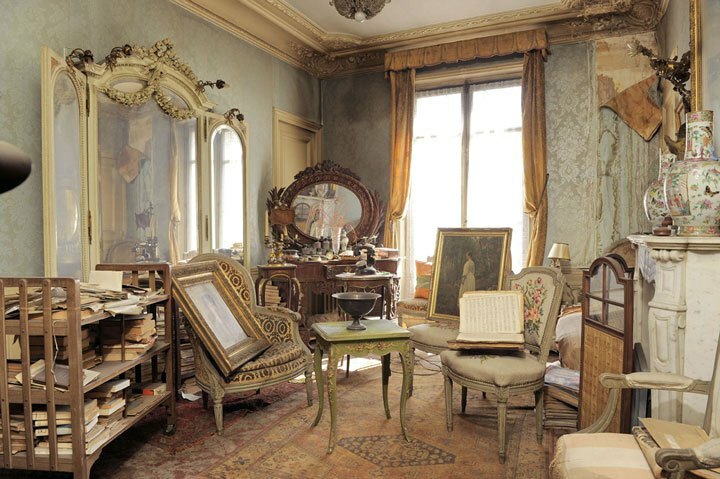 Her family tasked auctioneer Olivier Choppin-Janvry and his team with visiting the flat in the 9th arrondissement, near the Pigalle red-light district and Opera Garnier, and inventorying its contents. When the unsuspecting experts unlocked the front door, they found it virtually untouched since before World War II. “There was a smell of old dust,” recalled Choppin-Janvry. This deceased owner, known in the press only as Madame de Florian, had fled the vulnerable city at the outbreak of World War II as the German offensive neared. It was 1942 and she was just 23 years old when she locked up the apartment she had inherited from her grandmother and left town. For the following 70 years, de Florian paid the rent and upkeep on the home without ever returning. 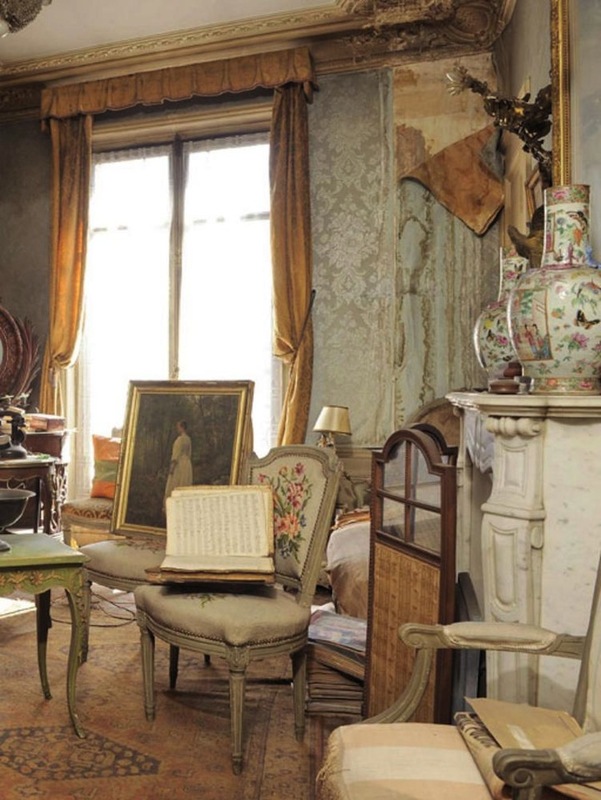 Now deemed a Parisian “Time Capsule” apartment, the woman’s heirs had decided to make an inventory of her apartment when they discovered its preserved interior and the many treasures inside. A thick layer of dust covers everything. But it’s fascinating to see a “day in the life” of someone from early 1900s Paris. Under a thick film of grime, investigators found themselves transported to early 1900s Paris during the height of the Belle Epoque, when the city was celebrating its cultural renaissance and de Florian’s grandmother was the talk of the town. Books and newspapers lined the shelves, gold curtains draped the windows, and a luxurious dressing table held hairbrushes, perfumes, and candle stubs that seemed to await the return of a very glamorous noblewoman. It was, one of the inventorying experts said, like “stumbling into the castle of Sleeping Beauty. Born in 1864, de Florian was a certain breed of courtesan known as les demimondaines, who were famous for their lavish lifestyles, partying ways, and strings of high-profile suitors. The mysterious woman sparked furious speculation online, as forums of fascinated readers dug through French genealogical records to uncover a little more about the family. These amateur historians surfaced old newspaper clippings and birth records showing de Florian’s real name was Mathilde Heloise Beaugiron, and she worked as a seamstress and bore two children before turning to acting and the more lucrative “society girl” trade. The formal dining room, with a low-hanging chandelier over the table, wood stove, and stone sink, was still fully stocked with glassware and pots and pans. 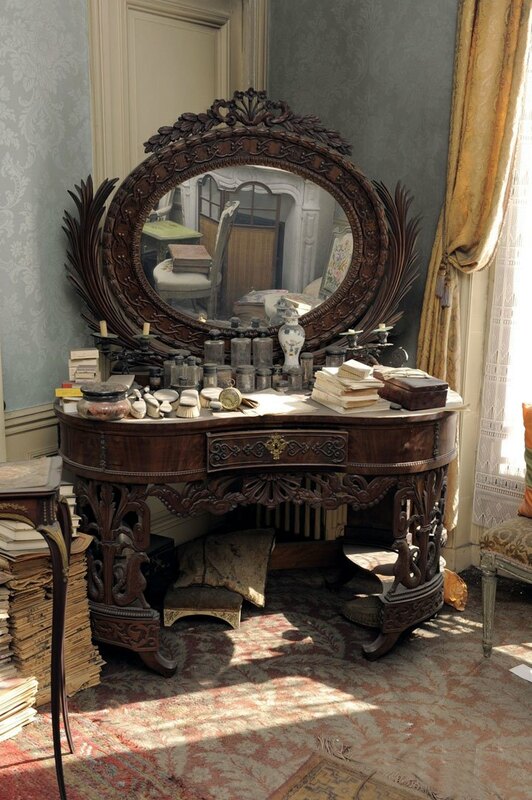 A beautiful vanity sits under a layer of thick dust. Make-up sits waiting for the mistress to return, to no avail. 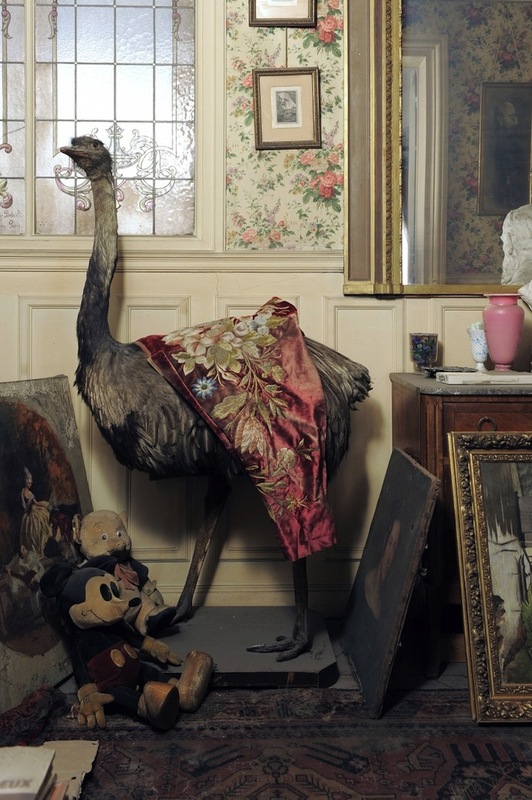 Against floral wallpaper and wainscoting, a stuffed ostrich draped with a shawl stood above two pre-war stuffed animals—a very retro-looking Mickey Mouse and Porky the Pig. A stuffed ostrich and a Mickey Mouse toy dated from the WWII prewar period, found in June 2010. The biggest surprise was a never-before-seen painting by famed 19th-century Italian artist Giovanni Boldini. 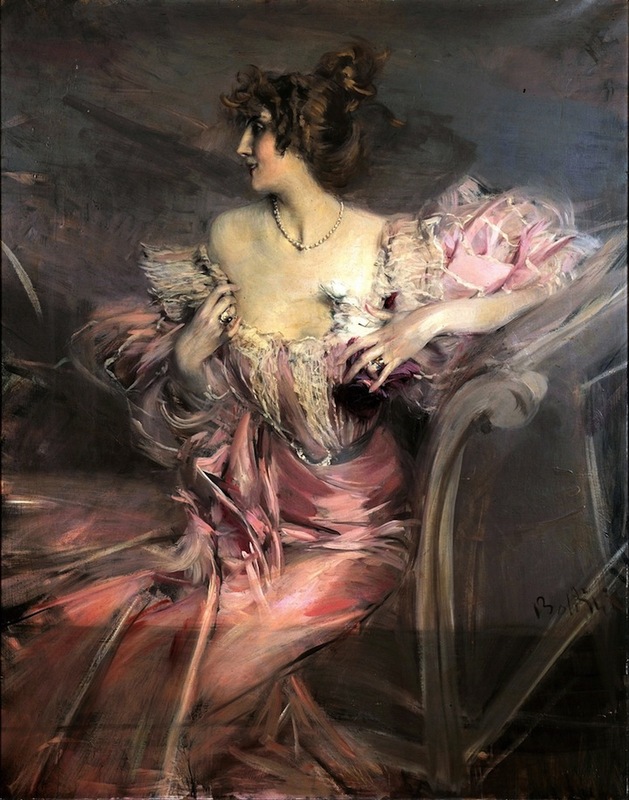 The subject of the portrait, a woman perched on a lounge and shrouded in a pink satin evening gown, was 24-year-old Marthe de Florian, the apartment owner’s grandmother who was a Belle Epoque socialite, theater actress, and Boldini’s muse. Painting by Italian artist Giovanni Boldini – presumably of 24-year-old Marthe de Florian, the apartment owner’s grandmother — a Belle Epoque socialite, theater actress, and Boldini’s muse. Boldini’s painting was without a signature and no records of the work were found in reference books to prove it was his. But art experts managed to locate a mention of the work in a memoir by the famed painter’s widow, and they dated the painting to 1898. Their suspicions were confirmed by a stack of love letters found in the apartment that were wrapped in different colored ribbons and scrawled in the hand of, among others, Boldini and 72nd Prime Minister George Clemenceau. The painting went up for auction with an asking price of €253,000, and sold for €2.1 million after 10 bidders waged a war for the piece. “It was a magic moment. One could see that the buyer loved the painting; he paid the price of passion,” said Marc Ottav, the art specialist consulted about the painting’s authenticity. It was the highest price ever paid for one of Boldini’s works. The location of Marthe de Florian’s apartment remains a mystery, as does her granddaughter’s true identity. But, somewhere in the 9th arrondissement, a dusty flat missing a fine Boldini painting may still remain frozen-in-time, offering a glimpse of life during the Belle Epoque.